It’s been so nice to be back teaching again. Last month’s cooking class recipes were so, so good and I know everyone is waiting for me to post them, but we have a lot going on right now with Halloween and Thanksgiving right around the corner. Patience, patience! I’ve also been doing more Instagram Lives where I jump on Instagram and we can all interact live and you can ask me questions. It’s been fun! I need to figure out how to save them and share them on FB. This is one of those things that if you saw it in a store or online, you’d think “What a piece of junk. There’s no way that would work.” At least that’s sort of what I was thinking when my friend Stacy gave me this PHENOMENAL gadget at the end of pomegranate season last year. Let me just say, we go through a ton of pomegranates in my house. My son snacks on them like popcorn and while I don’t mind seeding them, it takes a bit of time. Ok, this thing is GENIUS and it has already changed my life. 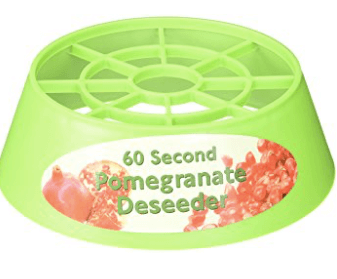 It didn’t take 60 seconds to deseed a pomgranate. It probably took 45 seconds. Trust me, it’s so easy and so effective, I just followed the simple directions on the sticker on the gadget. I can’t believe I lived this long without it. Stacy found it at a Middle Eastern market in LA, but it’s also on amazon where there are not many left through prime, but definitely opt for one of the other sellers. With pomegranates now in season, it’s a no brainer! I spent a lot of time in NYC this summer and one of my friends who lives there told me about Via, a very affordable rideshare service. I used it once and then never took a cab or Uber again. 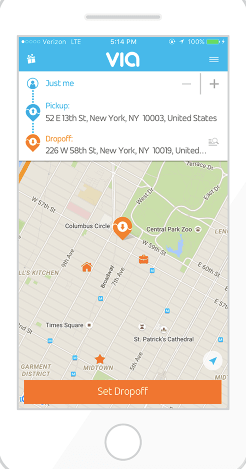 Like Uber, you request a ride through the Via app on your phone. The catch is that you have to walk a block or two to meet the driver and you might pick up people along the way. But the price can’t be beat. I was never in a rush, so I booked a standard ride everytime which was always…$5 + tax. I went from the Upper East Side to the bottom of Manhattan multiple times — $5/ride. If I wanted an express ride without picking up other passengers, the price went up to $8-ish. Still a great deal. The cars were usually nice large SUV’s. Only one time did I get a sedan. In NYC, Via operates 24 hours/day in these areas: Manhattan south of 125th St, Williamsburg/Greenpoint/Downtown Brooklyn and LIC; JFK, LaGuardia, and Newark Airports. Let me come right out and say, this is not an ad. None of these posts is sponsored in any way (not that I would have a problem with that.) I am obsessed with Jovial Foods and have been for many years. I have been buying their tomato products, pastas, glass jarred beans, and crackers for many, many years. I finally paid them a visit in their US offices in Connecticut this summer and I became even more smitten. This husband and wife team are the real deal and so committed to creating the highest quality products. When their younger daughter was diagnosed with a wheat sesntivity, it motivated them to create high-quality gluten free foods for their family. Their gluten-free products are the best I have had, but their pastas are exceptional. They are pressed with bronze dies and slow dried for superior quality. 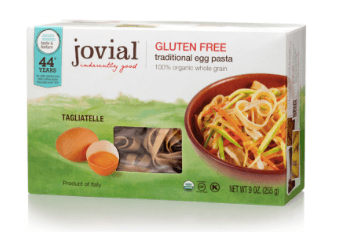 And I believe Jovial is the only artisanal gluten free pasta available today. The GF pastas are made exclusively with Italian grown 100% organic brown rice. Even though I love all their pastas, I think the GF egg tagliatelle are amazing. The rest of their GF pastas do not contain egg. The texture is so close to traditional pasta and stays nice and firm. The price is higher than regular pasta though. I buy it on ThiveMarket.com for a discount, but you can buy it directly from jovial.com as well. 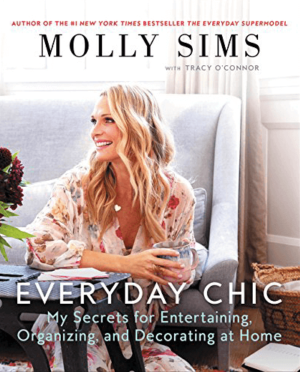 I adore Molly Sims, a good friend and someone who does it all with style and grace. Wife, mother to 3 cuties, hostess with the mostest, and former super model, Molly just ooozes style and chic. Plus she’s the nicest and most gorgeous girl-next-door you’ll ever meet. I just received Molly’s new book in the mail and it is FABULOUS! Instead of my always asking her, “Where’d you get that?” or “What’s your favorite…. ?” I now have her book with all her secrets and I don’t have to feel like a stalker even though I am one. Her chapter on feeding her family is spot-on, although I was immediatley drawn to the chapter on entertaining. Sooooo many good ideas which are already inspiring me to have a party. I am inspired to use all her DIY natural cleaning products (why did I not think to add essential oils to water and vinegar??) And I love her positive messages about parenting, being happy, staying healthy and finding balance. Molly’s book is coming out on Tuesday, and it’s available at all the regular places, including amazon and your local bookstores, like Pages. No, I’m not talking about the candy! 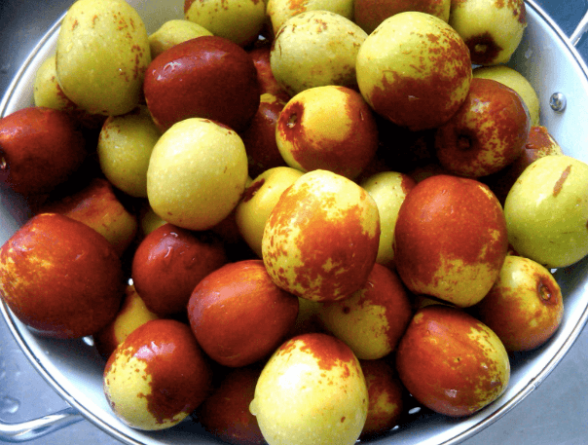 Jujubes are sometimes referred to as red dates or Chinese dates, and they are a little smaller than an apricot. Jujubes are red inside and out, with a crispy texture, edible skin, and a sweet-tart, apple-like flavor. When ripe, they can be stored at room temperature for about a week. I am seeing Jujubes in my local farmers markets and Whole Foods will get them soon. According to Dr. Mercola, “While they may not have a large amount of any one nutrient, jujubes contain a wide array of different ones, including magnesium, potassium, copper, niacin, calcium, manganese, phosphorus, and iron. They contain 20 times more vitamin C than any citrus fruit, strengthening the immune system and fighting infections, which may be why they’ve been used medicinally for millennia in many cultures, as a tea for sore throat, for example. I don’t cook with jujubes, but they’re great for lunchboxes and for snacking. Everyone in my house just loves them! Here’s a link to all my Five Friday Favorites. I am so happy with your pomegranate recommendation. We love them and it’s such a short season, that I hate myself for dreading peeling them so much. Do you have any tips for picking a good one? I hate when I get one that’s all brown inside. Thanks!! I like ones that aren’t wrinkled. Cracks are ok, but the skin needs to be smooth and tight. Choose ones that are heavy for their size.